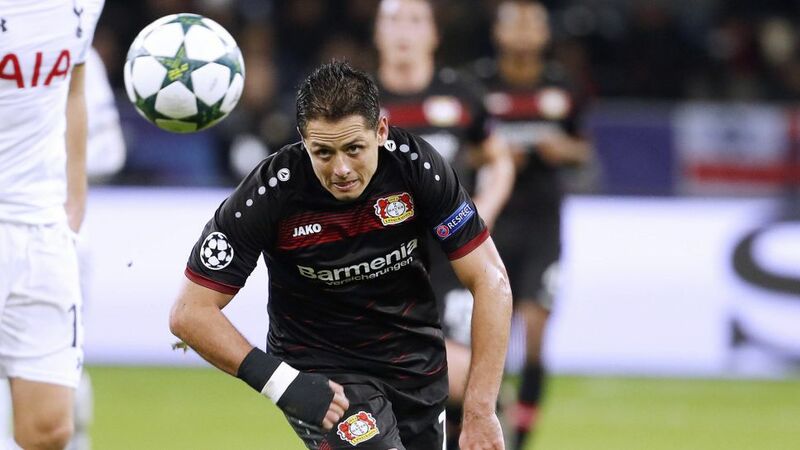 Javier 'Chicharito' Hernandez is hoping to get back among the goals against CSKA Moscow. The games are stacking up for Bayer 04 Leverkusen in what is shaping up to be a pivotal juncture in Die Werkself's season. Roger Schmidt's side take on defending Bundesliga champions FC Bayern München at the Allianz Arena at the weekend, but not before travelling to the Russian capital to face PFC CSKA Moskva in UEFA Champions League Group E on Tuesday evening (kick-off: 18:00CET/17:00GMT). "We're just not consistent enough at the moment," admitted midfielder Julian Brandt, scorer of Leverkusen's second goal of the night on Matchday 11. "Sometimes we're brilliant; other times we throw games away. There's enormous potential in the team, though, and I think the problems will sort themselves out. Then we'll be able to string a couple of wins together." "We made too many mistakes," Hakan Calhanoglu said of the Leipzig reverse, himself having missed a 54th-minute penalty with Leverkusen leading 2-1. "Chicha [Javier 'Chicharito' Hernandez] is the first-choice penalty taker, but he wasn't playing, so I stepped up. Obviously I'm disappointed, but the show must go on. We want to win in Moscow." Click here for more Leverkusen club news!